Protect Furnishings, Floors & Artwork from Fading with our 99.9% UVA & UVB UV Rejection Films. Protect your family and your home’s interior against 99.9% of the harmful UV Rays from entering through your windows and glass (addresses three major causes of fading: Solar Heat 25%, Visible Sunlight 25%, UV Rays 40%, Misc. 10%) and glare. Energy Savings. Can pay for itself within 6 months. Safe on all Dual Pane & Low E Glass Doors & Windows. Conserve Energy. Reduce A/C Bills up to 30-40 Percent & Lower Room Temperatures up to 15 Degrees. Eliminate Hot/Cold Spots for Year-Round Comfort. Save money and enhance the comfort level of your home both in the summer and winter. Our exclusive residential films will reject up to 84% of the heat entering your house. Gain Privacy. Improve Daytime / Nighttime Privacy & Exterior Views. 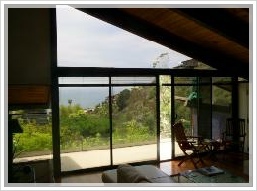 Our films allow you block or allow the natural light to enter your home. Spectrally Select / Ceramic Films: allows clear visibility from the outside looking in as well as the inside looking out with high amounts of heat rejection and UV/IR protection. Also these films will prevent high lighting bills which can be caused by other films. Add Safety, Strength, & Security to Glass. Reduces the risk of being hit by a piece of a flying glass shard which can be caused by things like a natural disasters, vandalism & indoor accidents (such as kids throwing a baseball into a window or glass door, running into one or a toddler falls against a window. Our Films are the key to preventing a medical emergency. Real Life Success Story- “Rob, Your film saved our son’s life. My son was playing in the living room and ended up running into one of the glass windows. Your film held the glass in place and saved my son’s life, thank you so much. I am going to tell all my friends with kids” David N.
If its your Home you need tinted then call now & have someone from our company either come give you a free quote or install tint today. Unlike others, we offer our customers a variety of Top Film Manufactures to choose from so you are able to select a film that is right for you and your budget. Our specially-trained staff will evaluate your residence & recommend the film that will generate the best results. And do not worry, we have a window film for every type of glass dilemma: Excessive Heat, Glare, Interior Fading, Gain Safety, Security, Anti-Graffiti, Skylights, Exterior & Decorative Custom Films. Our window films provide an across-the-board approach to home improvement providing Superior Energy Efficiency, Greater Comfort & Lowering Utility Bills. Our Residential Window Film Products & Services are a smart choice because you will Save Money on Energy Bills without sacrificing Comfort, Quality or View not to mention your return on investment can be as little as 6 months!